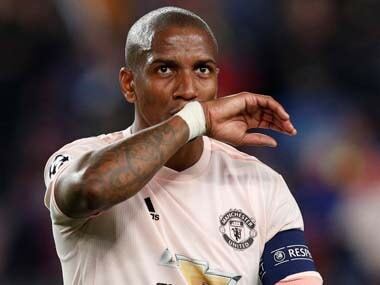 Manchester: Manchester United cannot be considered among the top band of teams in the Champions League, manager Jose Mourinho insisted after his side brushed aside Basel 3-0 on their competition return. Goals from substitutes Marouane Fellaini and Marcus Rashford sandwiched Romelu Lukaku's first goal in the competition proper as United opened their Group A campaign in straightforward fashion on Tuesday. There were eye-catching wins elsewhere -- Barcelona beating Juventus 3-0, big-spending Paris Saint-Germain crushing Celtic 5-0 -- and Mourinho said United could not currently be considered in the same bracket. 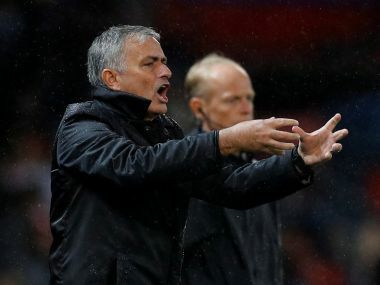 "I think for these teams that you are speaking of and for the Real Madrids, Barcelonas and Bayerns, the Champions League starts in February," Mourinho told reporters at Old Trafford. "Now is just the warming up. And in February, when us English teams are trying to survive after the winter period, they are fresh and ready after these warm-ups. "For them this is a warm-up. I think we are in the second level. The second level is, let's qualify, let's make the points to qualify for the knockout phase. When we do that, let's enjoying playing against the big guys." Having spent last season picking a path to glory in the Europa League, which enabled them to qualify for the Champions League, this was United's first game in the top continental competition since December 2015. But Mourinho criticised his players for easing off after Lukaku's 53rd-minute header put them 2-0 up, accusing them of playing "PlayStation football" decorated by unnecessary "flicks and tricks". "I don't know, obviously, but by experience, just by looking and feeling, it's a hamstring," Mourinho said. "Big, small, I don't know." 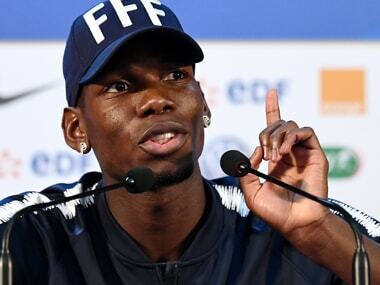 It was an untimely end to Pogba's first match as United captain, but the France midfielder's departure had the beneficial side-effect of bringing Fellaini into the fray. 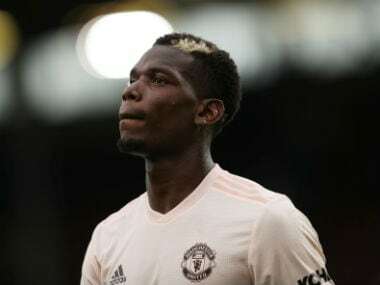 So often derided for his perceived lack of coordination, the bushy-haired Belgian was United's best player, opening the scoring in the 35th minute with a bullet header from Ashley Young's right-wing cross. But Mourinho said that had been the former Everton player's only misstep in their year-long association. "To remember a Fellaini bad performance I have to go back to last season in the beginning and it was not even a bad performance," Mourinho said. "Just a naive mistake when he made a penalty in the last minute at Goodison Park. Fellaini's contributions are always positive. He's a very important player for me." "We can learn. This is what I said to my team after the final whistle," he said. "I saw a team that was alive, that was suffering and fighting together until the 90th minute. "What I didn't like was that at the beginning we seemed a bit scared, particularly when we had the ball. But I never saw the team fall apart. There was commitment and hard work until the final whistle."